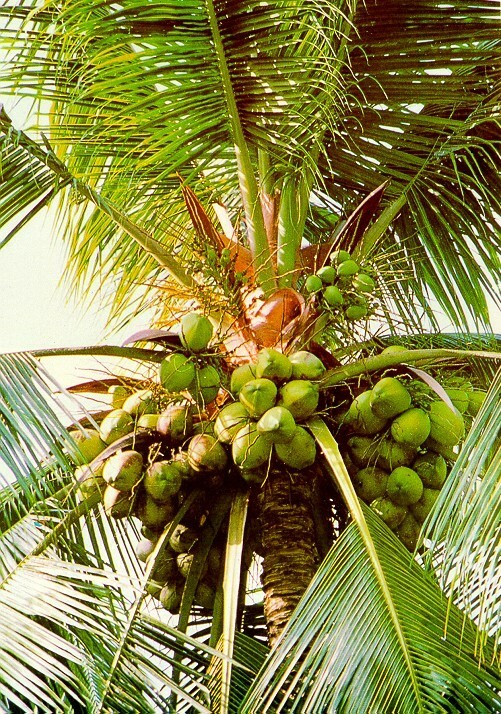 Through genomics-assisted generation of molecular markers and its application in molecular breeding, it is hoped that coconut productivity could be increased from 46 to 150 nuts/tree/year which shall exceed India’s average yield of 77 nuts/tree/year (APCC, 2011). 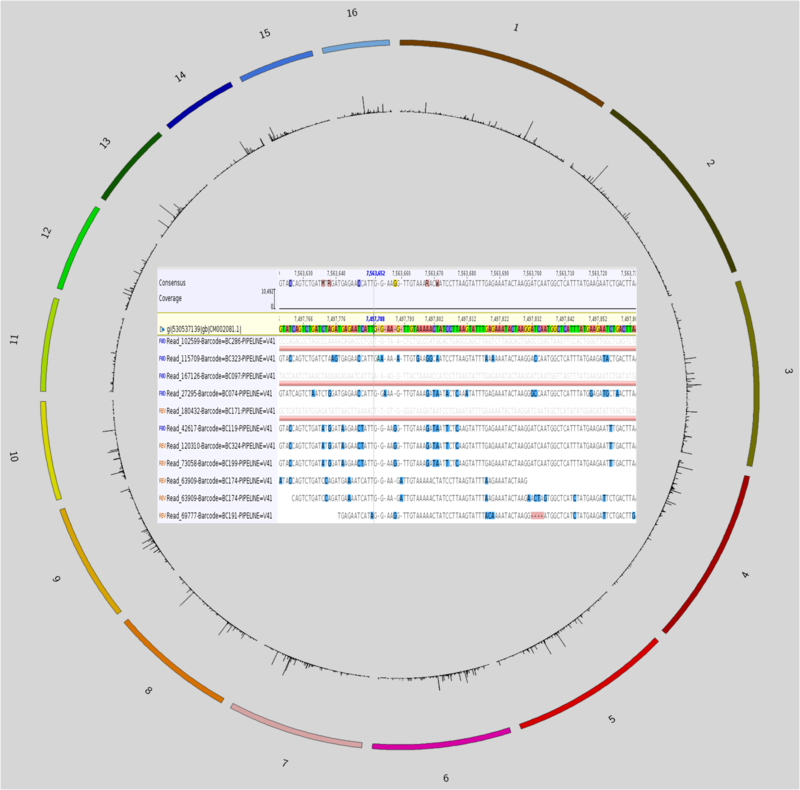 Of the 8 projects in the program, six (6) of the projects (Projects 1, 2, 3, 4, 7, and 8) are involved in the generation of molecular markers associated with very important traits such as copra yield, early flowering time, oil biosynthesis, mutations in the endosperm and for insect resistance. 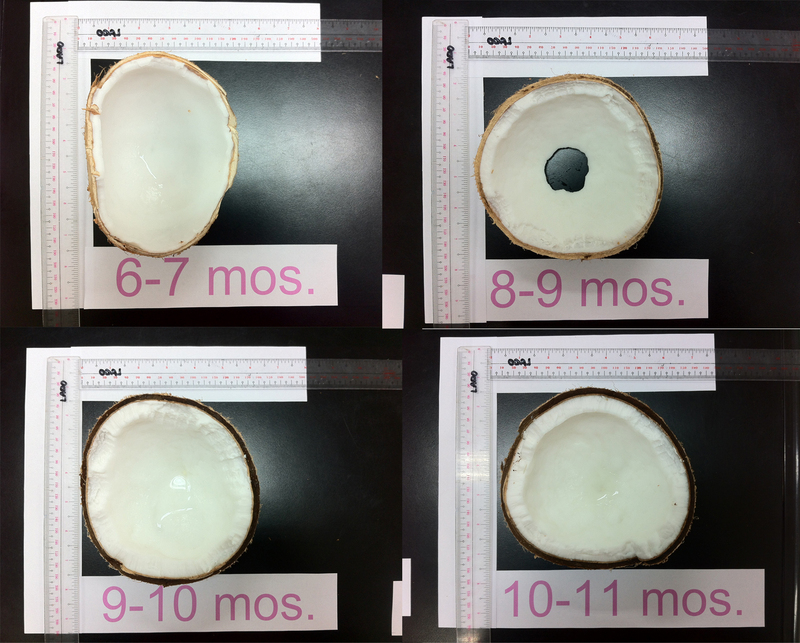 One of the projects (Project 5) involves the expression of coconut genes related to oil biosynthesis in a model experimental monocot plant, Zea mays L. through genetic engineering. 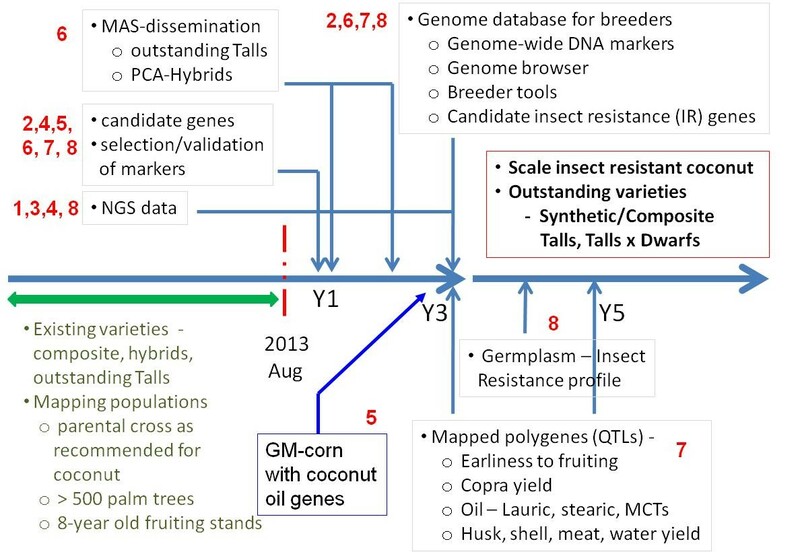 Four projects (Projects 2, 6, 7, and 8) have duration of 5 years and will focus on the use of the molecular markers (generated from the six projects mentioned above) towards marker-assisted selection and molecular breeding of selected coconut varieties, single-cross hybrids and advanced mapping populations from PCA.